People – In her new thriller A Simple Favor, actress and mother of two Blake Lively plays a fashion executive who is best friends with a mommy blogger (played by Anna Kendrick). But in real life, the mom to daughters Inez, 2 this month, and James, 3½, with husband Ryan Reynolds says she can’t stand looking at mom blogs — unless she needs some sort of comic relief. But the 31-year-old star says she knows that what she’s looking at isn’t actually real. “I love thinking about what their house looks like in the image [they’re presenting] and then thinking about what it actually looks like behind that perfect shot,” she explains. In 2016, the Gossip Girl alum joked on Late Night With Seth Myers about following a “perfect” mom blogger on Instagram. “Her toddler is giving her reflexology massages. What?! My kid is, like, playing with explosive devices,” she joked. “I don’t know where she found them. She already knows how to drywall because she puts holes in the wall. 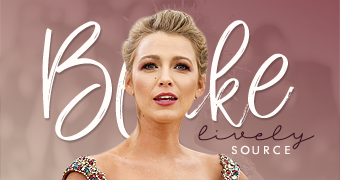 For more from Blake Lively, pick up the latest issue of PEOPLE, on newsstands Friday.